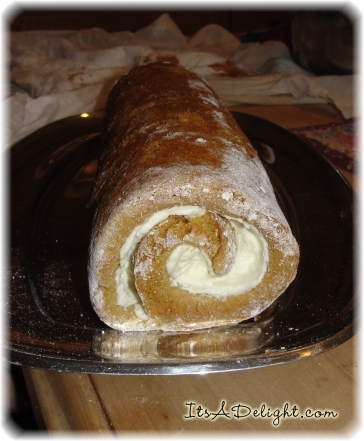 You are here: Home / Fall / Pumpkin Cake Roll ! ! ! 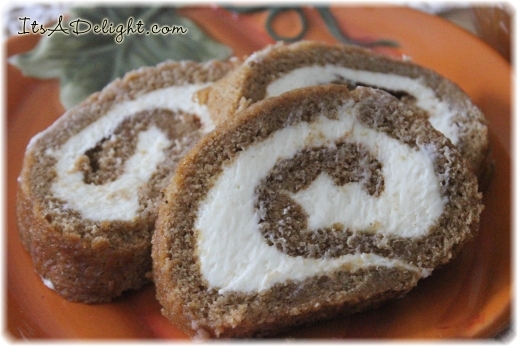 Pumpkin Cake Roll ! ! ! My daughter makes this yummy Pumpkin Cake Roll every year for Thanksgiving dessert and we love it! She puts a light and delicious cream cheese filling inside that’s heavenly! I love it even more because you can make it weeks ahead, or several of them ahead in our case, and freeze them. I think they are even better when just slightly thawed. My husband and boys have never tired of eating this dessert and thankfully my daughter has never tired of making it! Line with parchment paper and grease & flour paper – the parchment paper is the very best and easiest way to move this cake around so I wouldn’t do it without parchment. 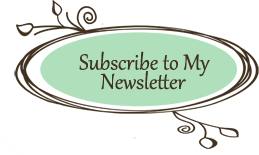 Once you make it, you’ll heartily agree that the parchment is a sanity saver! Stir these dry ingredients until well mixed and set aside. Now on low, beat in 2/3 cup canned pumpkin. Next, stir in the dry ingredients you’ve set aside. Spread batter onto the prepared parchment on your pan and bake 14 – 15 minutes. Take care not to over bake! While the cake is baking, prepare by laying a thin bread towel out on a flat surface and then evenly sprinkle the towel with ¼ cup powdered sugar. Now roll up cake and towel together. Yes your cake and towel together into a log. Cool your towel rolled cake now on a wire rack for a couple hours. Basically go and finish up other work you have or do up the dishes and come back to it later! Beat all above together til nice and creamy. This filling is easy and light and yummy! Carefully unroll your cooled cake from the towel. 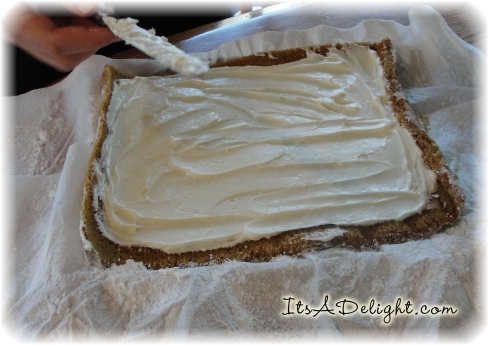 Spread filling on your unrolled cake (as we did in the photo above). Don’t spread too close to edges as it will naturally squish out more towards the edges as you roll it up. Next gently roll your cake back up, without the towel this time! The filling works like glue holding it in place. Wrap your cake roll in plastic wrap and refrigerate at least 1 hour. But the next day is even better! This cake freezes really really well also and if you just partially thaw and then slice and serve. It’s heavenly, almost like an ice cream cake! 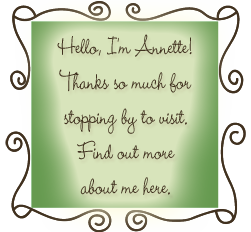 Enjoy it – there won’t be any leftovers, trust me! 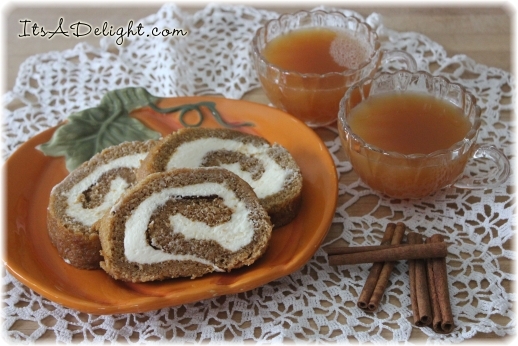 Slices of Pumpkin Cake Rolls go perfect served with Hot Cider!